Written by Dr. Maria Koinova for The Conversation. Macedonia may be a parliamentary democracy, but it’s also a fragile multicultural state. Its democracy has been in gradual decline since the mid-2000s – and in an era of unstable geopolitics and rising authoritarianism, the right sequence of events could send it slipping back into inter-ethnic strife. The precarity of the country’s situation was made plain in April, when more than 200 protestors and loyalists to the Macedonian conservative-nationalist VMRO-DMPNE party stormed the parliament building in Skopje, and physically attacked lawmakers, who had earlier elected an ethnic Albanian politician, Talat Xhaferi, as speaker. The brawl left 77 people injured. Events like these make it hard to remember that until relatively recently, the outlook for Macedonia was rather more hopeful. After a brief conflict between ethnic Macedonian and Albanian factions in 2001, the country had an incentive to join the European Union, and so managed to introduce tough reforms giving more local power to the Albanians. 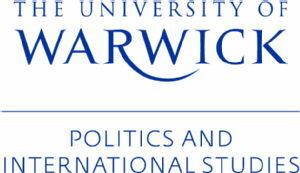 The European Council granted it EU candidate status at the end of 2005 – but in 2006, a backlash began in earnest. That year, Nikola Gruevski and his VMRO-DPMNE party rode into power on a wave of resentment. Above all, their voters were furious at additional political rights for ethnic Albanians. Before and after he was elected, Gruevski duly played the nationalist card domestically and internationally like no Macedonian politician since the end of communism – not least with “Skopje 2014”, an expensive project that yielded numerous nationalist monuments widely ridiculed for their aesthetic shortcomings. Gruevski also appointed cronies to public office, pressurised the judiciary, and intimidated civil society groups forming against him. His grip on power was greatly challenged in 2015 when he was accused of having endorsed the illegal wiretapping of politicians, activists, and civil servants – among them Albanians. While Gruevski’s VMRO-DPMNE won the most parliamentary seats in the snap elections of December 2016, it has no outright majority, and cannot form a working government. The opposition SDSM aspires to a coalition government with the ethnic Albanian Democratic Union for Integration (DUI), but Macedonia’s president, refuses to formally endorse any such government, as is legally necessary for it to take office. To make things more complicated, this is all taking place in a region where the balance of power has shifted markedly away from democracy. Since the Macedonian-Albanian conflict of 2001, the EU has been trying to help turn Macedonia into a successful multicultural democracy with hopeful long-term prospects. The culmination of this project would be EU membership – but today, the prospects for western Balkan countries hoping to join are becoming more and more distant. The EU as a whole is still grappling with financial instability, a massive refugee crisis, the first ever departure of a member state, and the rise of right-wing populist movements that directly challenge fundamental liberal European values. The idea of Macedonia joining the EU is particularly unpopular with Greece, which vetoed further EU accession talks in 2009 because of the two countries’ long-running dispute over Macedonia’s name. Gruevski’s distasteful Hellenic-style nationalist monuments are partially a response to this veto. So for all that Western officials condemn the violence or political dysfunction in Macedonia, their statements ring rather hollow in the absence of progress on the EU issue. And while Europe struggles to leverage its influence, less democratic powers are filling the gap. Russia’s relations with Western Europe are alarmingly tense, but it carries plenty of weight in the east. When the Bosnian Serb nationalist leader, Milorad Dodik, sought support for a controversial referendum on Republica Srpska’s on independence, it was Russia he turned to. Moscow has extended its influence in Bulgaria, a recent EU joiner, and increasingly authoritarian Hungary. Turkey, meanwhile, is supporting the Balkans both economically and religiously, financing new mosques and providing religious guidance for Muslim populations – and most importantly, setting a bad example with its growing authoritarianism. Complicating the picture further is the influence of the Albanian state and diaspora. Albanians in the Balkans have long hoped to create a so-called “Albanian space” across borders where ethnic Albanians can interact via business, culture, tourism and so on. This project has been partially realised: Kosovars, for instance, enjoy visa-free travel to Albania, Macedonia and Montenegro, all of which have Albanian populations. The apex of this project would be EU membership for the variously Albanian-populated countries in the Western Balkans. And if their stalled membership processes fail altogether, the consequences could be serious. In April 2017 the Albanian prime minister, Edi Rama, said that if Albania and Albanian-dominated Kosovo were not both accepted for EU membership, which would “unite” them in effect, they would attempt formal unification by themselves. As Serbia’s angry response made plain, such an attempt could reignite the highly incendiary issue of Kosovo’s status. 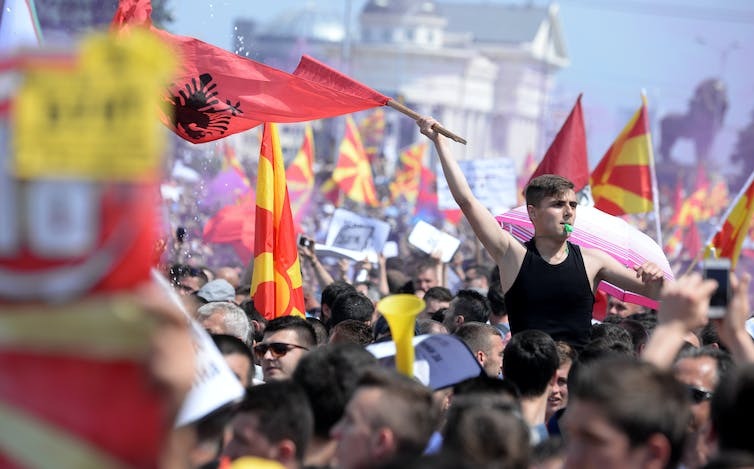 These are some of the forces behind the rising tensions in Macedonia, in addition to demands for democratic rights for Albanians in the structures of power. The country has seen spikes of violence before, but they have primarily been episodic; there is as yet no reason to expect another extended violent conflict. But recent Balkan history shows that when these sorts of crises arise, decisive international intervention is absolutely necessary to stop them deepening. If the EU accession process is not restarted, things could get worse, and quickly.